If you are a record producer; then you should give some importance on documenting your work particularly in monitoring music production credits. If you fail to monitor and document your work, you will end up with a high risk project. It is because sooner or later it will be released and hopefully will catch some public attention (particularly commercial releases) then someone will sue you out of nowhere that you are not giving them proper credits for their work. Much worse if you do not have supporting evidence (in writing) to prove the real musicians involved in the project or the engineers. Then you will be facing a serious issue. In addition as a producer, label or artist self-producing the projects; you should know the technical specifications used in the recording so that you can present this document to any person that are also involved in the project. Example of these technical specifications are bit depth, sample rate, DAW, etc. that provides important information about how the recording was made. 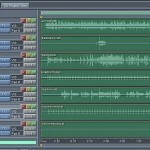 So how can you ensure that your music production work particularly the recording session has been fully documented? The answer to this problem is to track the recording session using a recording/tracking form sheet. There are no standard forms that you can use. But I would suggest you can use this Recording and Tracking Session Form Sheet. 1.) Date started– the date that the recording started. 2.) Song title– the official title of the song. If the song is copyrighted, use the title registered. 3.) Music publisher/writers– who wrote the song as well as the publishers. Sometimes artist and producers rush to the studios without giving proper credits to the songwriters and publishers. This can result to a legal issue particularly if the labels/artist/producers did not make an agreement with the publisher to use the song. Bear in mind that if you did not write the song, you have to ask permission before you can use it whether it’s for non-commercial or commercial reasons. 4.) Original/Cover – if the artist wrote the song, it is their original work. Otherwise its cover; the record producer should know this so that proper licensing procedures are implemented. 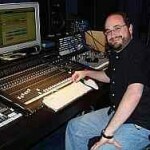 Recording studio engineers should discourage recording of cover songs without proper authorization or license. 5.) Artist– the name of the artist or band. 6.) Album- if you are recording an album project, write the album name. 7.) Label– the name of the label, if the project doesn’t have label, use the owner of the sound recording copyright (in this case the artist if they are the one financial the entire sessions).